On arrival at Dinaka Camp we were welcomed by a lively song sung by the camp staff, which brought a smile to everyone’s faces and set the mood for a fun and most enjoyable weekend. Dinaka has just recently opened after an extensive refurb following it’s take over by Ker and Downey. 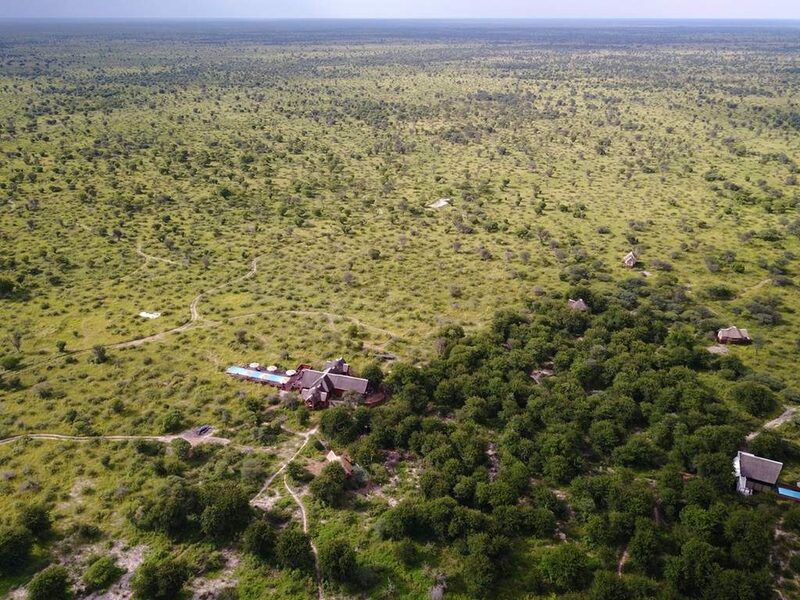 This beautifully constructed camp is set on a private conservancy bordering the Central Kalahari Game Reserve. It still had the “new car aroma” one would expect of a newly refurbished camp, so I have to take my hat off to the staff who created such a welcoming and homely atmosphere, that one could be lead to believe that the camp had already been operating this way for a several years. After a sumptuous lunch we had a little time to enjoy a short siesta in our rooms or a relaxing moment by the crystal clear pool overlooking the water in front of camp before our afternoon game drive. The Kalahari is truly a kaleidoscope of colours during the green season. The contrast of colours created by the budding flowers from the scrubland and the summer skies is simply amazing. The thick scrubland can make game viewing a little harder during this time of year, but this is compensated for by the landscape and birdlife, not to mention the chance to observe young offspring. The skyline makes for incredibly rich and vivid pictures and when the sun breaks out from the rain cloud formations, spectacular rainbows arch across the landscape. The wildlife also makes for picture perfect conditions as a large male giraffe posed for us against the back drop of the dark rain clouds heading north. The sunsets are spectacular at this time of year and provide the perfect scene at sundowner hour. On our game drive back to camp, we were lucky enough to spot a caracal with its cub and a puff-adder before settling down to an amazing dinner under the stars. 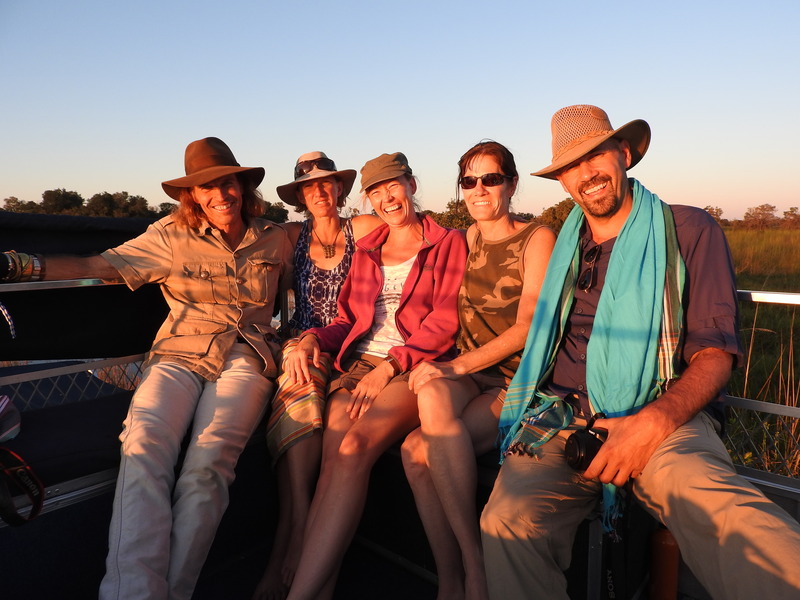 Our guide’s knowledge of astrology was really impressive and star gazing and identifying the different constellations around the camp fire after dinner completed what had been an excellent day on safari. I was lucky enough to be allocated the spacious family room all to myself, with the only disadvantage being that it is quite close to the main area so I was awoken earlier than I had planned by the generator starting up and to the voices of a few of the staff starting off their busy day. We then set off on a safari walk with the Bushmen of the Kalahari and the Ker and Downey Guides. 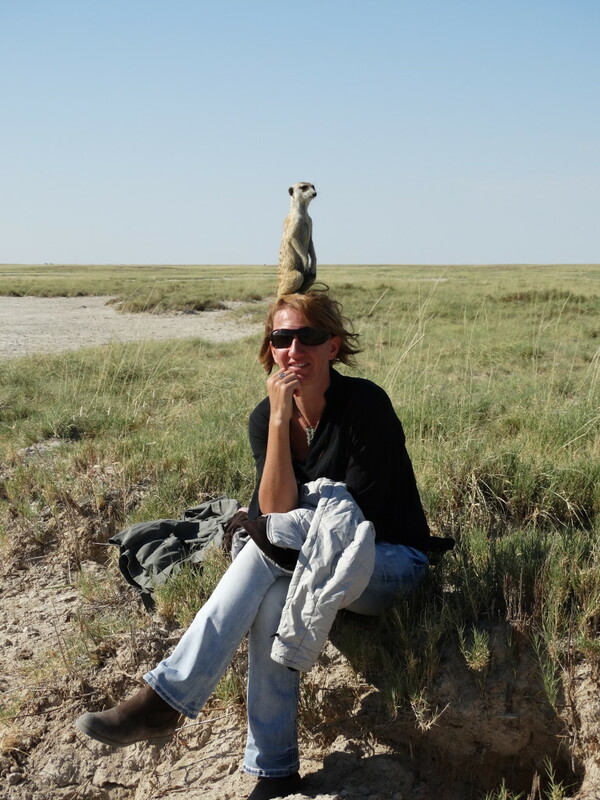 I appreciated having the guides there with us as they were armed for our safety which is paramount in an area renowned for our favourite big cats, the lions. 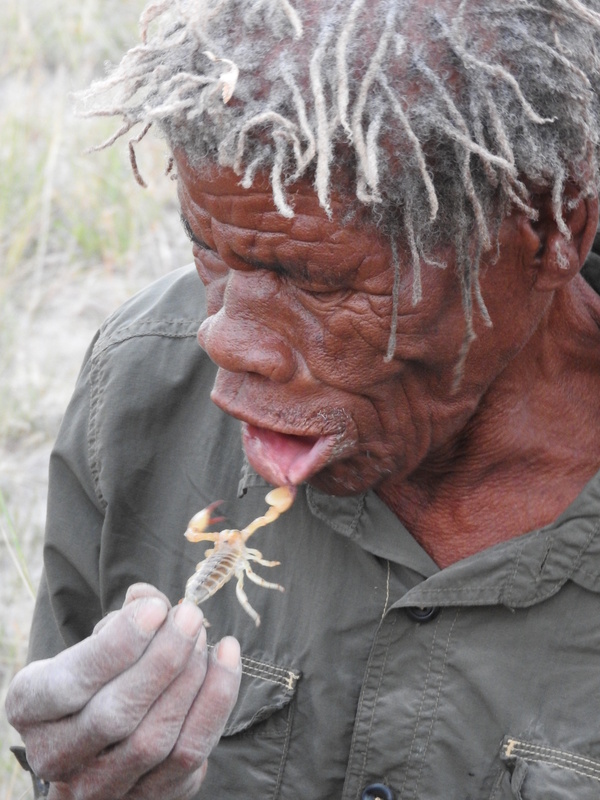 Getting down on the ground and immersing oneself in the surrounding wildlife is always an exhilarating activity, as we were walked through the ancient survival techniques used by the Bushmen in the harsh terrain that is the Kalahari. 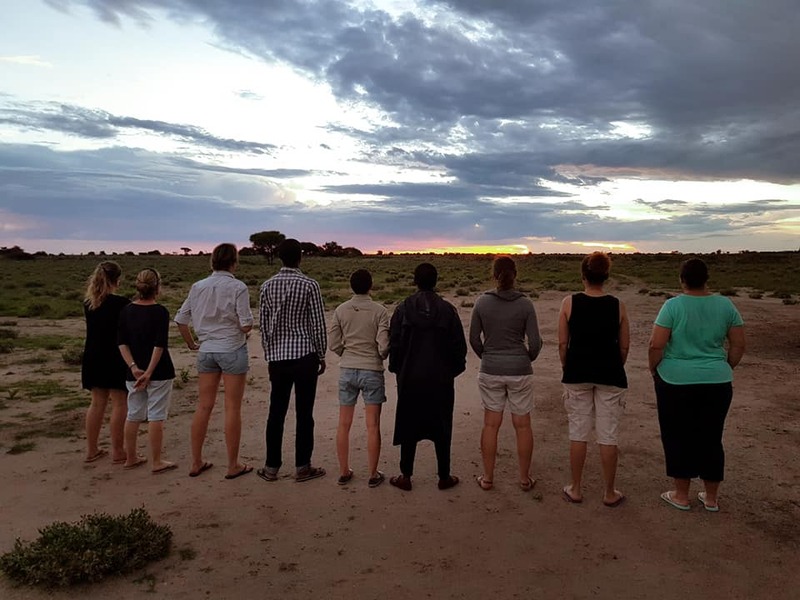 We returned to camp to say our goodbyes and could not help thinking how this area would be completely different during the winter season as the foliage disappears and the wildlife concentrates around the waterholes on the conservancy. Guests are accommodated in seven spacious twin and double-bedded safari tents on raised decks. Each en-suite bathroom has an indoor and outdoor shower, hot and cold running water and flush toilet. Families are accommodated in a two-bed-roomed tent, sharing a spacious en-suite bathroom. The area is a big contrast to the Delta so works well when combining different locations within Botswana. In green season, the annual rains transform the arid desert landscape into a lush profusion of Kalahari vegetation, offering guests a unique insight into the lesser known desert experience. It gets very bushy and lush with thick, green vegetation, so spotting game can become very difficult. However, there is still game about and the birding is good, so this would be a great time for birding enthusiasts. Dinaka being based in a private concession outside the Central Kalahari Game Reserves offers a different experience to the camps inside the Game Reserve. 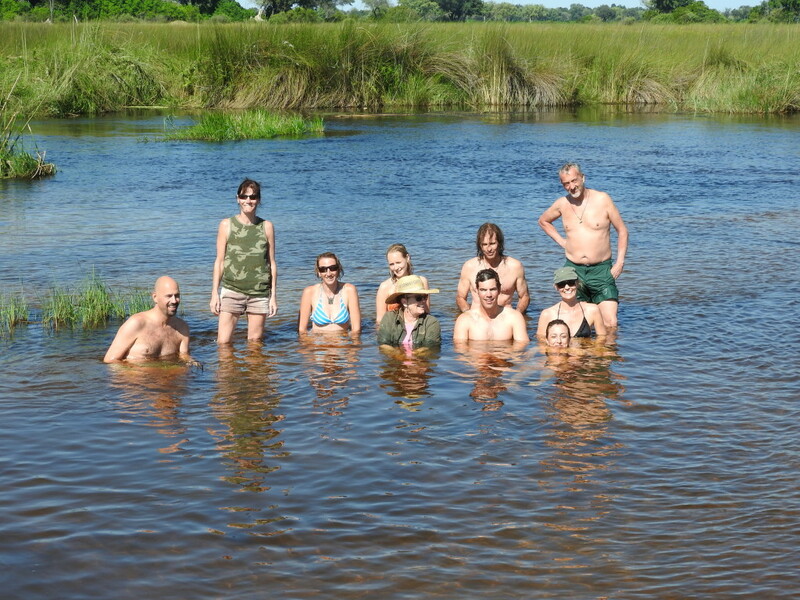 Our experts recommend it in dry season, ideally combined with camps in the Delta. 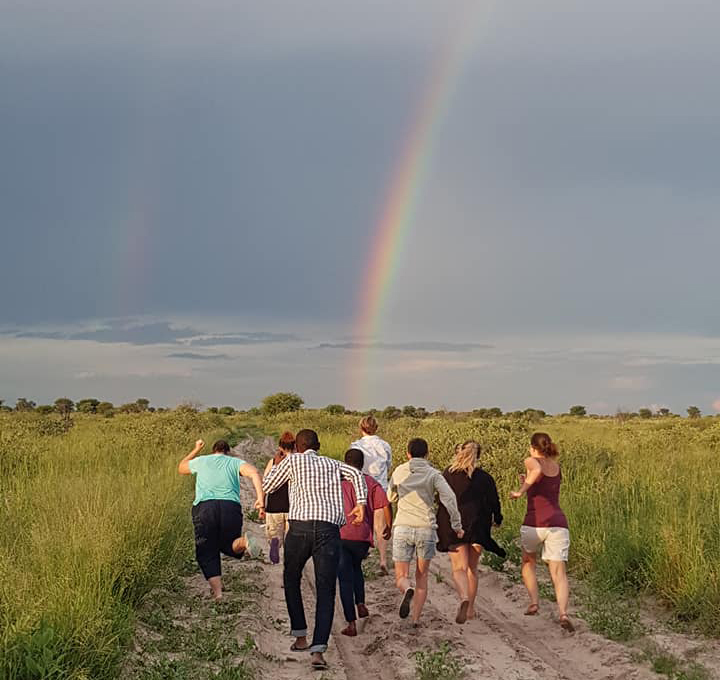 The camps inside the Game Reserve (namely Tau Pan and Kalahari Plains offer a great experience during our green season when the Kalahari comes to life again). 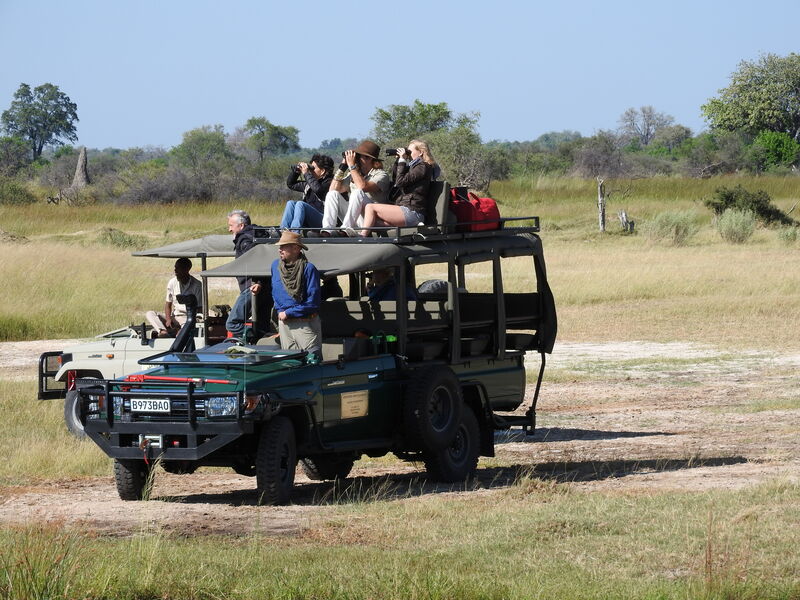 Activities include early morning, afternoon and night game drives, birding, guided walks and photographic hides. Best suited to your mid-range clientele along with families or honeymooners. 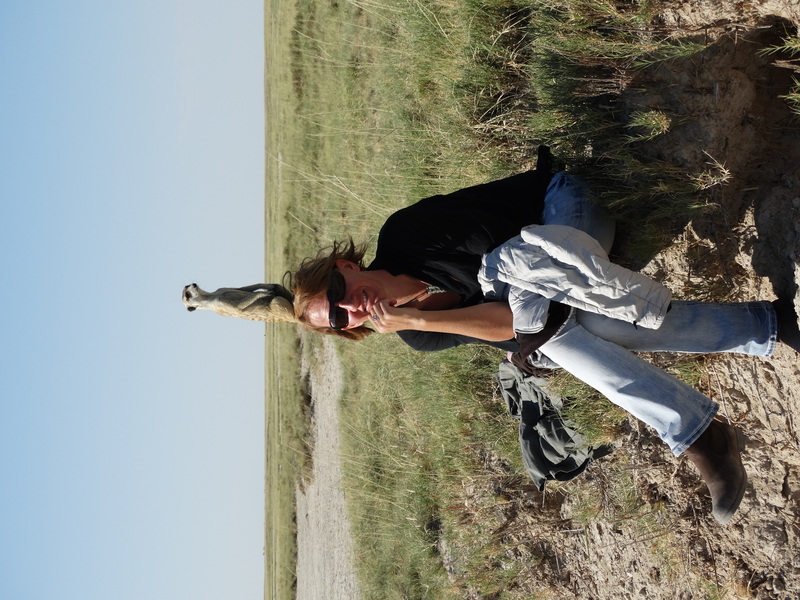 People who want to experience something different and are not highly concerned with lots of game but rather quality game viewing opportunities. Such as from the underground bunker, viewing decks, hides, game walks etc. Having never been to Nxai Pan National Park this was my first chance to discover this somewhat hidden gem in the desert. The landscape was stunning. One could see that the area had experienced some rains prior to our arrival as the flora was slowly coming back to life with bright green shoots and leaves providing a stark contrast to the dry landscape. The majority of trees and shrubs were coming into bloom with a stunning array of multi coloured flowers making for great landscape photography. 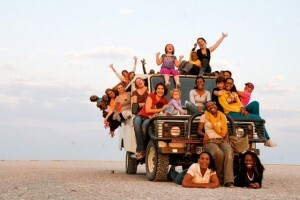 We could not have scripted our arrival at Nxai Pan Camp more perfectly. We arrived to a very warm welcome from the Managers, Lets and Thabo. Our camp orientation, however, was delayed for forty five minutes due to the fact that one rather cheeky elephant had decided that the camp pool would make for a better source of drinking water than the waterhole directly located in front of camp. Spectacular to say the least! After high tea we went out on a short game drive towards the busy waterhole where elephants were dominating the water point to the chagrin of the other wildlife such as buffalos, jackals and other desert species. The inter-action between the elephants themselves and the other wildlife was fascinating, keeping us mesmerized as Chester explained the animals behaviour we were observing. 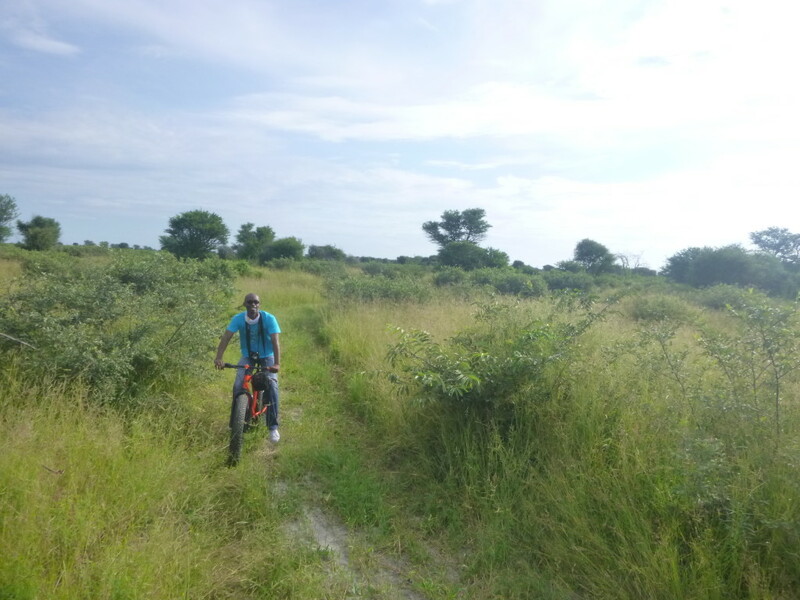 The next morning we embarked on a short nature walk with Shoes, the resident bushman and our tracker. He provided us with numerous anecdotes and information in the ways of his forefathers during a short walk in the vicinity of the camp. Quite a character if there ever was one, explaining that my failure to start a fire would guarantee that I would never find a wife to marry! The following game drive provided great sightings in the form of three cheetahs, giraffes, zebras, elephants galore and the highlight for us, aardvark out in the open during the day time! We went through to Baines Baobab’s on our way to the Nxai Pan National Park gate. The baobabs stand out rather majestically as one approaches and the experience is quite humbling as one realises just how long these immortalized baobabs have stood the test of time.